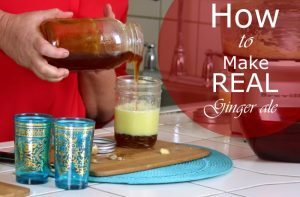 In this post, Kami shares two different recipes for homemade Ginger Ale. These drinks have a richer, fuller taste than commercial ginger ale. In addition to listing the recipes at the end of the post, Kami also includes a step-by-step video that demonstrates how to make each recipe. She also includes a lot of helpful tips, The video is really good. The other thing she includes are some really interesting facts about the history of herbal drinks and soft drinks.